One advantage for having a mobile device like Android is mobility. You can almost do any common task while on the move and that's include watching your favorite TV show. 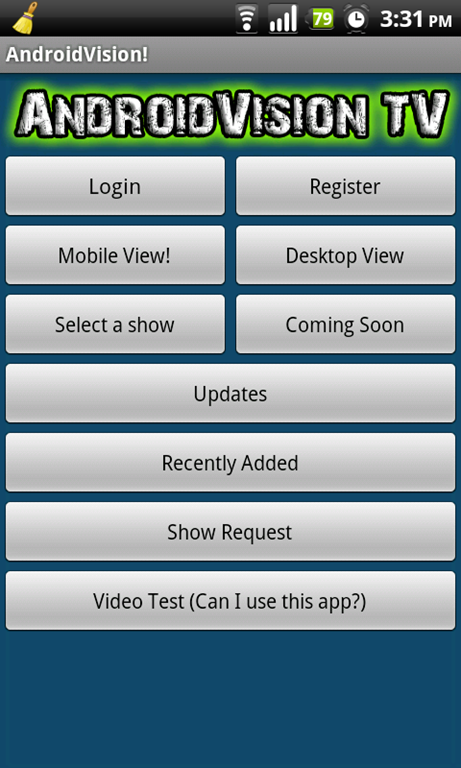 With AndroidVision TV, you can easily watch your most awaited episode even your not sitting on your couch at home. The only requirement of it is you should be connected either via Wi-Fi or cellular data internet. 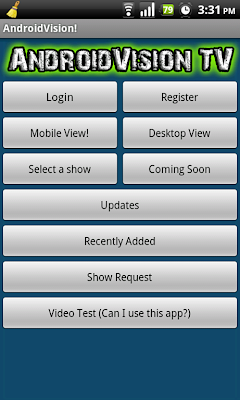 AndroidVision TV interface provides a way for launching the AndroidVision TV website where the TV shows are actually posted. From there you can select a show to watch, browse the entire collection of shows and even request if your looking for a show that isn't already there. Before you can use the free service, the app requires registration at the AndroidVision website. AndroidVision TV supports Android 2.2 or later with Flash Player 10.1 already installed.